Here is a picture 2.5 years in the making, but 1st, a little bit of background… Summer of 2008… I had just finished school and was broke. I had always had an interest in underwater photography and even had a point and shoot that I managed to take a few photos with. I really wanted to upgrade to a SLR setup but knew that wasn’t in the cards for a while as a I was still adjusting to life (and income) in a “real job”. That all changed (as would my focus of my diving) at a dinner with my friend Dr. Arch McNamara who made me an offer I could not refuse on a sweet set-up. Excited as kitten in a cat-nip factory, I couldn’t wait to explore ALL the possibilities this new set-up would grant me and a whopping 1 week later I was splashing into the cobalt blue gulf stream waters off Cape Hatteras, NC. 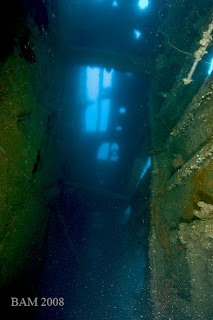 140 feet below was the submarine USS TARPON and I *was* going to photograph the whole damn thing because I thought it would be so cool to do composite images of shipwrecks. One small problem… I had *no* idea what I was doing. Seriously. 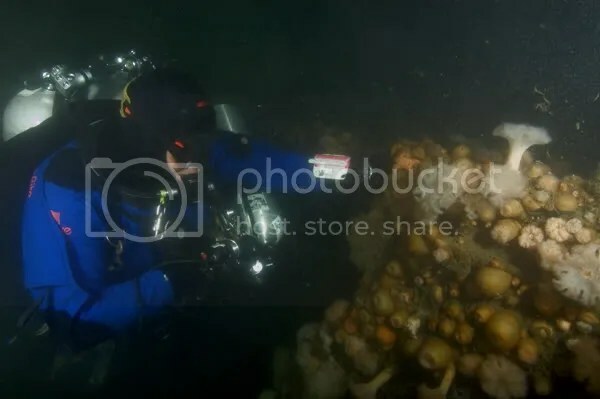 It didn’t matter, because the bulky housing in my hands could have been a hammer and I still would have tried my hardest to extract pictures of the sand tiger sharks surrounding me when I got to the bottom . I was the first one down, and on a rebreather they didn’t mind me in the least. It was truly surreal… big sharks as far as I could see, just hanging there, and I’m kneeling on the white sand bottom staring at the camera, and all that’s going through my head is uhhhhh…. 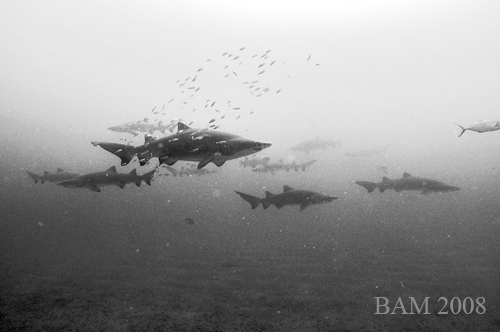 Eventually the OC bubble blowers joined me on the wreck, and predictably the sharks headed to the limits of visibility, with just a curious few cruising around the wreck. 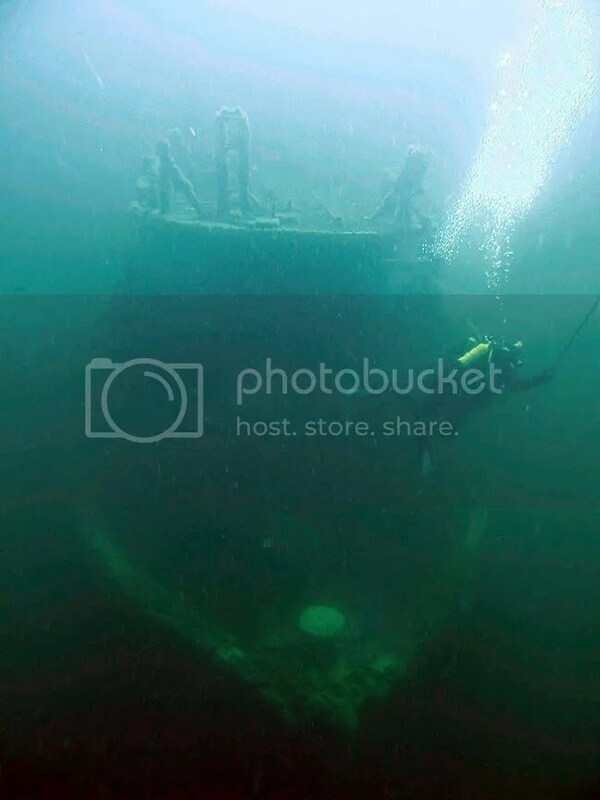 Ok, now I’m going to photograph the whole wreck. So never having dove the wreck before, I confidently start off… and head straight to the boring side. On the TARPON the conning tower has been dragged off to the port side of the wreck and there is some debris, wheras the starboard side is pretty much straight hull. I guess some people would argue any side of a submarine is boring, but I digress. 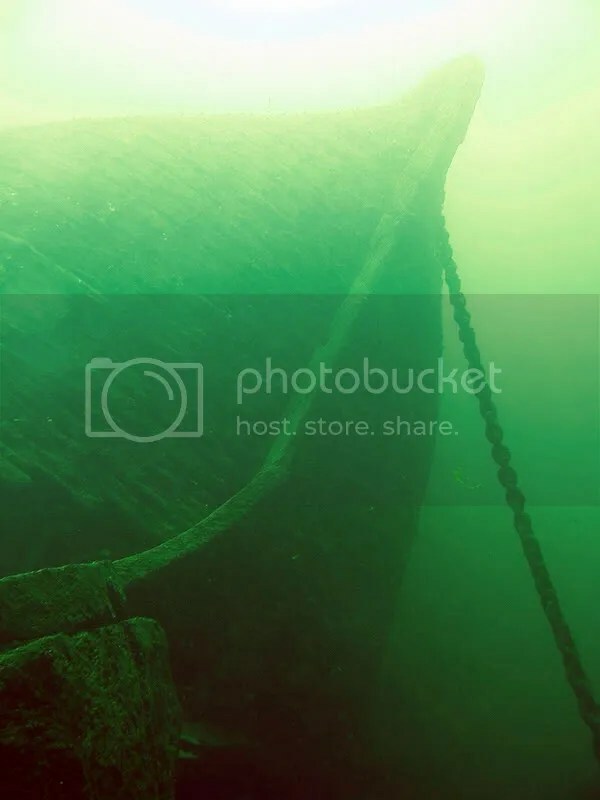 I work my way down the hull from the bow to the stern, snap off my pictures, complete my deco, and hop back on the Under Pressure, amped up about the great dive and how easy that just was to do a “tough” photo project I had been wanting to do! Well… what next? As soon as I get home I giddily download my pictures, and I was pretty happy with the results from the trip overall, but when it comes to the TARPON composite shots, I get that blank stare and the “uhhhhh” again. I don’t know what I thought would happen, I guess in my mind I thought I would open the folder and voila, the shots would self assemble right before my eyes. No such luck. Ok, no big deal, that’s what Google is for. With little searching, I find some (free) panoramic stitching software and back in business. Load the files up, hit go, I will be right back looking at the whole TARPON. .. or so I thought. The software works great for clean “dry land” shots, underwater images are generally a different animal. So it rejected most of the files as not having any matches and stitched together 2 images (of about 30 and looking back now I’m not even sure are consecutive frames) and I was totally dejected as I had no other skills in my “toolbox” and had no idea how to manually put the files together. This “underwater photography is easy” notion quickly crumbled like a house of cards and I decided to go back to basics and actually learn a few things before getting overly ambitious. This image is dedicated to Dr. Arch who recently passed. Without whom, this image and most of the content on this site would not be possible.